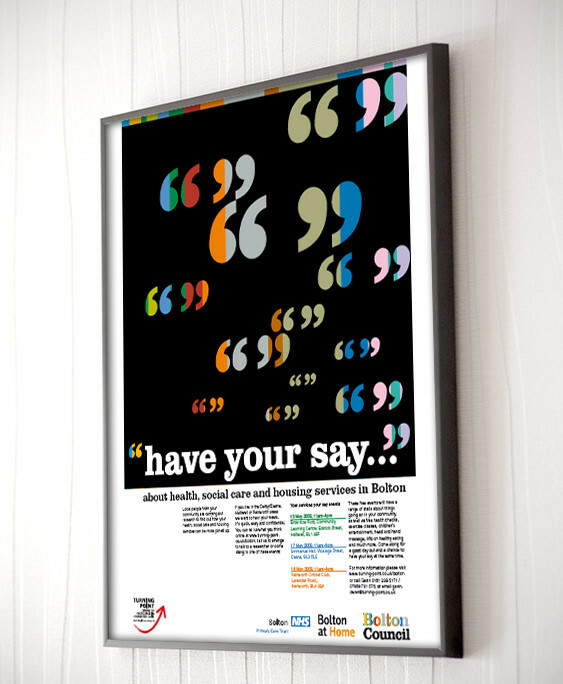 We were asked to help promote a series of stakeholder involvement events for this joint project. 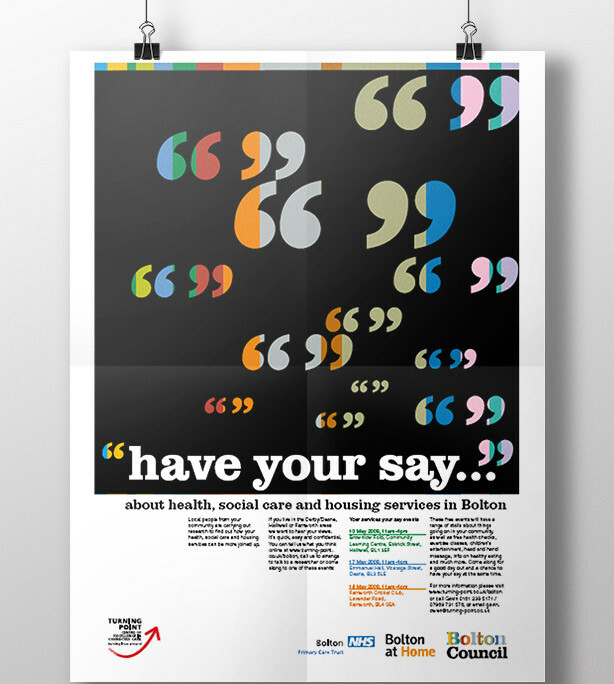 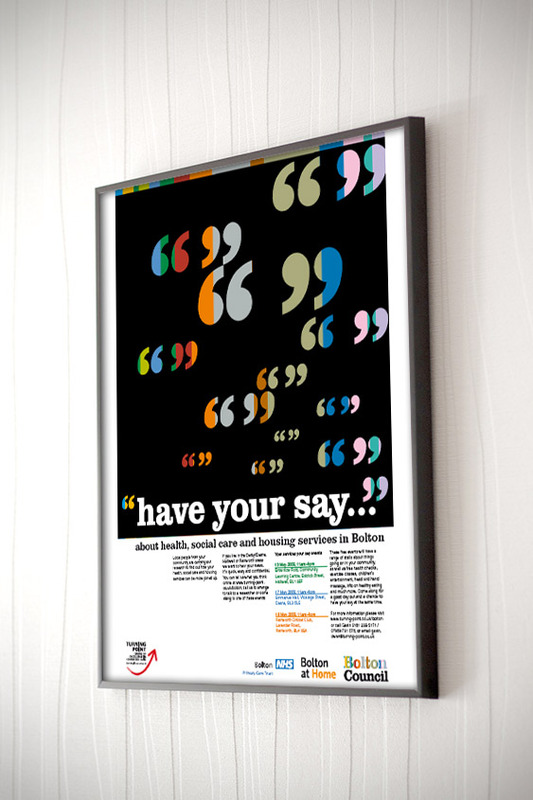 Social care charity Turning Point were working with Bolton Council and other local partners to engage with local people about plans for their community. 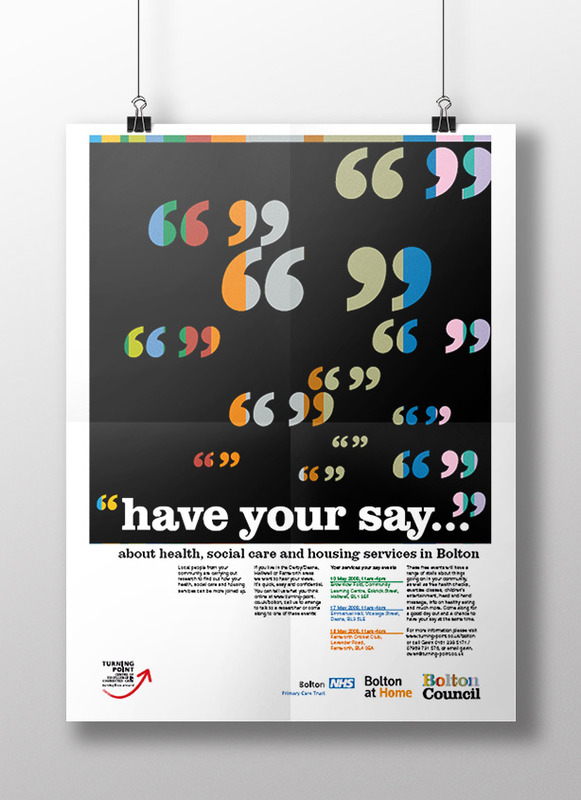 We came up with a simple but striking design for a series of posters and leaflets which worked with the branding of multiple partners.